Two. No, three. Maybe four. Wait. It's definitely six. That's how many new white items are hanging in my closet but I'm so afraid I'll stain them in to a state of irreparable damage that I've decided that that's where they'll remain for a long time. 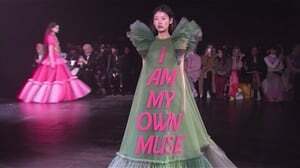 All those purchases hidden at the end of my rail were influenced by how aspirational fashion pieces or outfits look by mere fact that they're white. 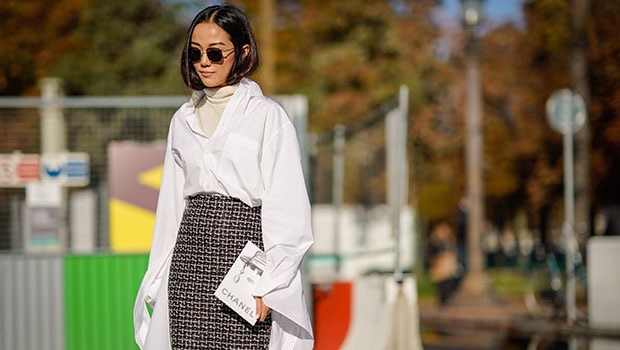 Last year the wardrobe's staple quickly became the white shirt for its versatility and supreme chicness. Think power-dressing with ruffled white shirts. Yeah, the crisp clear white item is a desired entity in any woman's wardrobe. But let's face it: it can be a pain in the neck to maintain it especially if you're, like me, prone to splashing curry onto it before even digging in your mother's turmeric-infused meal. Even a small coffee spill can be disastrous. No need to ditch your favourites. Here's 4 quick tips and tricks to keeping your favourite white items white. While there are a spectrum of products that promise to remove the stains, there is really just one on the shelves that I've found delivers on its promise. A friend introduced me to this earlier last year and honestly, I don't know how many stained items I'd gotten rid of prior to knowing about it. It's a magic formula in a bottle, I swear. All you need to do is shake the can well before use, then hold the can about 15 centimetres from the soiled area and saturate it thoroughly. Wait 1-5 minutes but do not let dry on the garment. After that you can wash your clothing as usual with regular detergent and BAM – nasty stain gone! Get it at Woolworths for R65.99. Argh, we all know the trouble with removing the hardest of stains. I've tried lemons, bleach, apple cider vinegar and all things that shouldn't make it out of your grocery cupboard and onto your garments. Alas, I failed miserably every single time. That was until I stumbled across this DIY method from Popsugar. These are all the ingredients you need (it'll cost you less than 50 bucks). * 1 tablespoon hydrogen peroxide, available from Clicks for R17,50. First, soak your garment in a bowl filled with the vinegar and two cups warm water for about 20 minutes. Then, mix together the baking soda, salt and hydrogen peroxide until it forms a paste. Remove and squeeze the garment from the vinegar water and lay it on a flat surface where you can easily coat the stains with the mixture. As Popsugar explains, hydrogen peroxide is a natural whitening agent and baking soda and salt will work together to lift the stain. Let it sit for at least 20 minutes, then toss your item in the laundry or handwash it as normal and voila – you just won the seemingly impossible battle against sweat stains! Drawing from the point above, both Huffpost and Popsugar note that while deodorants are used to reduce sweat, the majority contain aluminium which mixes with the sweat and turns the affected fabric yellow. Read more: Do we have to choose between bad body odour and deos with aluminium? Opt for an alternative. Our fashion and beauty editor let go of the toxic effects of aluminium-based deos and tried out Earthsap's tea-tree and lemon deo, and praised the results. "Separate your white items from your colour garments, use a detergent that contains an optimal brightener and dry your clothing on a low heat to prevent damage to it," he says. Do you have any tips on getting rid of nasty stains? Share them with us on Facebook or Twitter.